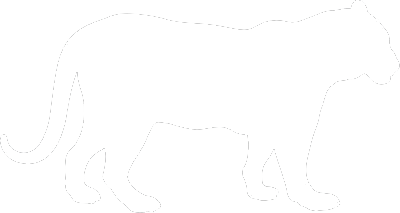 Jaguars are the largest cat in the Americas. They are considered a big cat because they can roar, they have round pupils, and their front legs are more muscular and stronger than their back legs. Jaguars are apex predators, meaning there is nothing in their habitat that preys on them. They are also a keystone species in that they help keep prey populations at a balanced level. On average, jaguars typically live between 8 and 10 years in the wild. In captivity, they can live up to 20 years. Jaguars are typically between 3.5 and 6 feet long and can weigh between 79 and 210 pounds, though there are records of male jaguars weighing as much as 350 pounds. Jaguars typically have a yellow coat with black or deep brown spots that are called rosettes. These spots are often open with an additional spot in the middle. Jaguars are solitary animals that only come together during mating season. Although jaguars are capable of hunting from trees, they do most of their hunting on the ground. Jaguars are stealthy hunters with an extremely strong bite that can crush their prey’s skull. Jaguars are great swimmers and spend a great deal of time in and around water and can even hunt from the water. 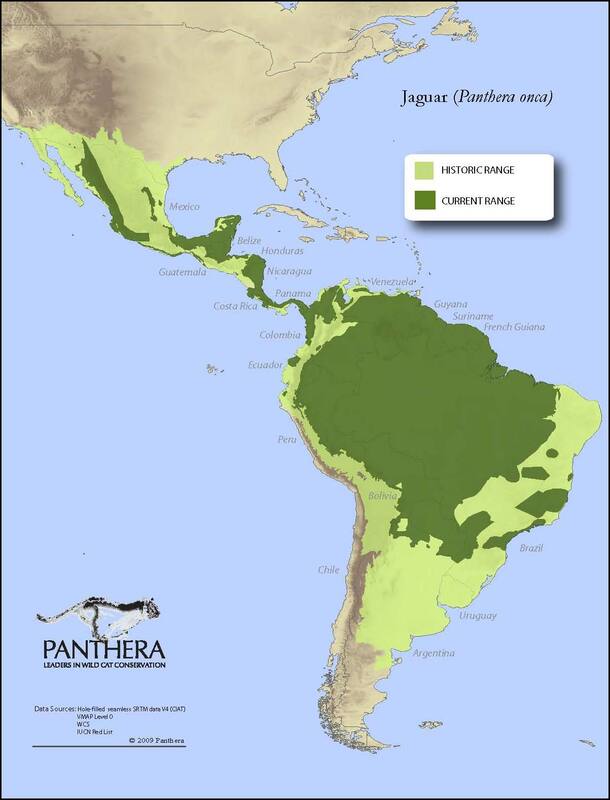 Jaguars live in a wide variety of habitats including deciduous forests, swamps, rainforests, grasslands, and mountains. 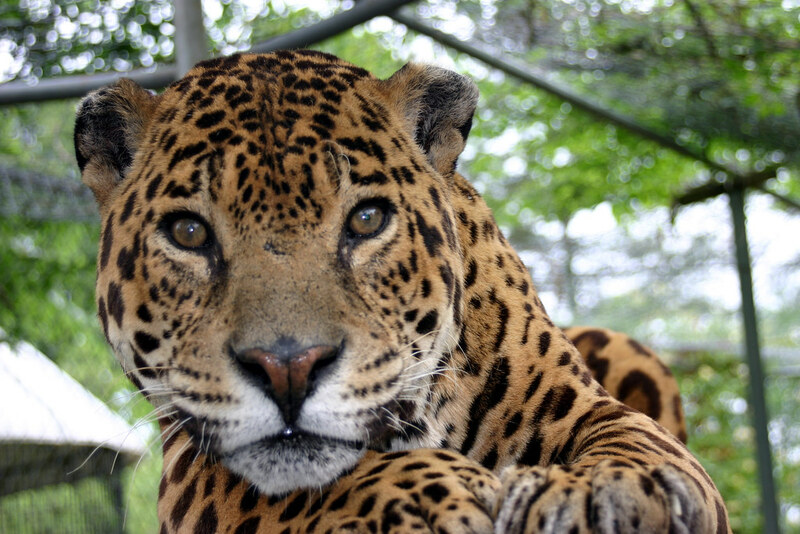 The jaguar's principal threat is human encroachment and habitat loss. Jaguars are also hunted for their pelt and are sometimes victims of retaliatory killings at the hands of ranchers who have lost livestock to jaguars. Jaguars are native to the western border of Mexico, Central America, and down into South America. Jaguars are not picky eaters and will snack on anything they can catch, including deer, birds, crocodiles, snakes, turtles, and eggs. Jaguars have the strongest bite force of all the cats and are capable of crushing the skulls of their prey and biting through turtle shells with ease. The gestation period for jaguars is between 90 and 110 days. Jaguar cubs stay with their mothers for the first year to year and a half of their lives. Jaguars primarily hunt at night as it is easier to conceal themselves in the dark. Jaguars are apex predators and are vital to their ecosystem because they help keep the prey populations down and prevent them from overgrazing. Jaguars are excellent swimmers and are capable of hunting from the water with ease. Jaguars are currently listed as "near threatened" on the IUCN Red List. There are about 15,000 jaguars left in Central America, South America, and Mexico, and a few left in the southern portion of Texas. Habitat loss and poaching are the biggest contributors to the decline in the jaguar population. Jaguars have the strongest bite strength of all the cats and are capable of crushing their prey’s skull!